Columbus has more than its fair share of arts institutions, including the venerable Columbus Museum of Art, which opened a new modern wing in late 2015. This expansion, designed by a local architect, adds new gallery space for the museum&apos;s permanent collection, and a bright new area for special exhibitions. An outdoor sculpture garden and excellent new restaurant make the Museum a great spot to enjoy any time of day. On the campus of Ohio State University, the acclaimed Wexner Center for the Arts offers three rotating exhibitions per year, focused on contemporary artists. Next door, the Billy Ireland Cartoon Museum has the largest collection of cartoons in the world, and stages exhibitions in three galleries year round. The Pizzuti Collection in the Short North features works from the collection of one of the nation&apos;s top art collectors. Find contemporary, arresting artwork in all genres from around the world. 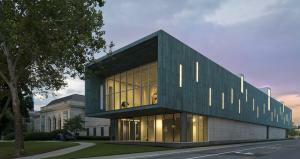 Beeler Gallery at Columbus College of Art & Design is an active site for contemporary art practices and contingent fields. The gallery is dedicated to enlarging and rethinking the unique role of a gallery within the context of a school of art and design, as a multi-dimensional site for learning and the production of knowledge. Art galleries are clustered in the Short North Arts District, with a new nexus forming in Franklinton near studio spaces at 400 West Rich Street. Standouts include Hammond Harkins Galleries, Brandt-Roberts Galleries, the Joseph Editions and Lindsey Gallery.